We specialize in Exterior and Interior work no project is to big or small. Call us today! We can handle any commercial property large or small. Now renting sprayers, Contact us for more information on our rentals. Call us today! We specialize in power washing exterior properties. Since 1987, Valley Wide Painting, LLC has been know for its excellence painting service. Our team of expert painters are second to none and pride themselves of their work on each and every job. No matter the size of the project we complete it as if it were our own. 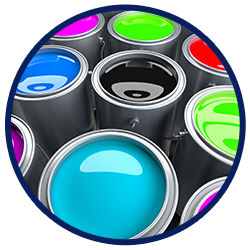 We offer free estimates and counsel you on your paint selections. We will provide a start date and approximate completion date at the time our proposal is accepted. We have serviced the Lehigh Valley and surrounding areas. Most of our work has been done in Allentown, Bethlehem, South Whitehall, Whitehall, and the Stroudsburg area. We also perform work in the Phillipsburg, NJ area. Our employees have 10+ years experience. With their skills you can be sure your job will be done right the first time. We specialize in interior and exterior painting for residential and commercial projects. We also provide wallpapering services. Please give us a call at 610-433-8750 to set up a free estimate for your project. Valley Wide Painting, LLC takes pride in our work and understand the difficulties that our customers go through when choosing colors and making a home a home. Our goal as your painting contractor, is to bring peace of mind throughput the process of beautifying and protecting your home or business. We strive to be with you every step of the way and treat every client independently by customizing our work to your specific needs. “I have used Valley Wide Painting for my home after seeing the great job they did at our office. I highly Recommend.